Our Advanced Access offers your patients timely contact to you and your practice, without handing over your scheduler. 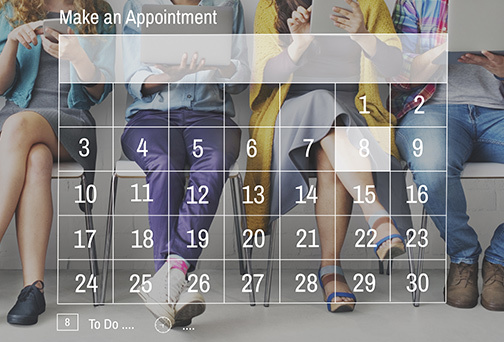 Advanced Access is now a relatively well accepted appointment booking and office efficiency process being used by healthcare professionals to improve their workflow. Synaptek’s Advanced Access improves on the current model by helping you focus on understanding demand, shaping the handling of demand by providing alternatives to conventional care, matching capacity to demand, developing contingency plans, and bridging the communication gap between booking staff and patients. It will also allow your patients to request office or telehealth appointments at times they prefer, which will help eliminate backlogged appointments. You set your scheduling system and we keep your appointment requests open 24/7/365, even on those unforeseen days when you don’t have an assistant!